Mammalian teeth develop from oral ectoderm and neural crest derived mesenchyme. The first morphological sign is the primary dental lamina forming as a thickening of oral epithelium at the site of the future tooth row. Dental placodes form along the dental lamina and they share common morphological and molecular features with placodes of other ectodermal organs, such as hairs and many glands. The size and shape of the tooth crown result from epithelial morphogenesis during the bud, cap and bell stages. The tooth-specific hard tissues, enamel and dentin, are secreted by ameloblasts and odontoblasts respectively, which differentiate at the junction between the epithelium and mesenchyme. After the crown is complete root formation is initiated in most teeth and cementum, the third hard tissue of the tooth is formed by cementoblasts differentiating from dental follicle mesenchyme. The majority of the epithelial tissue is lost when the teeth erupt into the oral cavity and the roots have reached their final length. In continuously growing teeth such as the rodent incisor epithelial stem cells are maintained in the cervical loop, the epithelial stem cell niche. Typical for tooth morphogenesis and cell differentiation as well for the maintenance of the stem cell niche are reciprocal interactions between epithelial and mesenchymal compartments which are mediated by conserved signaling molecules. The instructive capacity for tooth formation shifts from oral epithelium to the underlying mesenchyme prior to the bud stage. However, the genetic basis of odontogenic competence is not known either for the dental epithelium or the mesenchyme although the expression patterns of multiple genes correlate with the competence. Apart from the rare examples of continuous growth, the regenerative capacity of mammalian teeth is limited. However, stimulation of the Wnt signal pathway in transgenic mice can activate continuous tooth formation. There are no obvious sources of stem cells in adult human teeth, and tooth bioengineering will likely require the use of reprogrammed non-dental cells. Teeth form as epithelial appendages and their morphogenesis is regulated by interactions between the epithelium and the underlying neural crest derived mesenchyme. The mammalian dentition consists of groups of highly specialized teeth; incisors, canines, and molars, which arise from different regions of oral epithelium. While teeth can be formed from both endoderm and ectoderm (Smith, 2003; Soukup et al., 2008), in mammals teeth seem to be derived only from the ectoderm. The earliest morphological sign of tooth formation is the appearance of the primary dental laminae (odontogenic bands), which are stripes of thickened epithelium marking the future tooth rows (Smith, 2003; Stock, 2007). Within the primary dental lamina placodes form which resemble morphologically, as well as in their molecular regulation, the placodes found during the development of other ectodermal organs (Pispa and Thesleff, 2003; Mikkola, 2007). The placodes consist of thickened epithelium and underlying neural crest derived mesenchyme, and they function as the first signaling centers of the tooth (see Figures 1 and 2). One particular hypothesis suggests that each dental placode gives rise to an entire tooth family (incisor, canine, molar). In this scenario only the first tooth of the family buds directly from the placode while the other teeth form successionally from the primed odontogenic epithelium and mesenchyme. The developmental anatomy of early tooth morphogenesis and the formation of different tooth types: low-crowned molar, continuously growing molar with a complex cusp pattern, and continuously growing incisor lacking a complex cusp pattern. The primary dental lamina forms as a thickening of the oral epithelium at the site of the future tooth row. Tooth morphogenesis starts from the dental placodes where neural crest derived mesenchymal cells condense under the epithelial placode. The epithelium first buds into the mesenchyme and then grows to encompass the mesenchymal dental papilla during the cap stage.The epithelial cervical loop is formed during the cap stage on the lateral sides of the bud. Different developmental choices are made at this point leading to the formation of different tooth types. The epithelial stem cell niche in the cervical loop is maintained in continuously growing teeth, but disappears in teeth which develop roots such as all human teeth. Signaling centers are present at various stages of tooth development (placode, primary and secondary enamel knots). The enamel knots regulate tooth crown morphogenesis characterized by folding of the enamel epithelium. The locations of secondary enamel knots correspond to the future sites of tooth cusps. ERM, epithelial cell rests of Malassez; HERS, Hertwig's epithelial root sheath. Histology of important stages of tooth development. Note that all early development is directed at creating the crown and only then root formation is initiated. Ameloblasts differentiate from the epithelium and odontoblasts from the mesenchyme and they deposit the matrices of enamel and dentin, respectively. Ameloblasts and enamel are missing on the root which is covered by the softer dentin and cementum. Ep, epithelium; mes, mesenchyme; sr, stellate reticulum; dm; dental mesenchyme; dp, dental papilla; df, dental follicle; ek, enamel knot; erm, epithelial cell rests of malassez; hers, hertwig's epithelial root sheath. During the bud stage the dental epithelium segregates into two histologically distinct cell lineages, the peripheral basal cells contacting the basement membrane, and centrally located loosely arranged cells, called the stellate reticulum, which are derived from the suprabasal cell layers of the surface ectoderm. These two tissue layers will form the epithelial components of the stem cell niche in the continuously growing teeth. The dental mesenchyme condenses around the bud and segregates into two cell lineages, the dental papilla which later becomes surrounded by dental epithelium and gives rise to the tooth pulp and dentin producing odontoblasts, and the peripheral dental follicle giving rise to the cementoblasts and periodontal tissues. The size and shape of the tooth crown become apparent during the cap and bell stages and they are regulated by the enamel knots. Signals from the enamel knots regulate growth and determine the sites of epithelial folds which correspond directly the cusp pattern of the mature tooth (Jernvall and Thesleff, 2000). The crown shape becomes fixed as the cells at the epithelial-mesenchymal interface differentiate into ameloblasts and odontoblasts, and secrete the mineralizing matrices of enamel and dentin, respectively. During the cap and bell stages the lateral sides of the epithelial bud start enveloping the underlying dental mesenchyme, and from this point onwards the leading edge of the epithelium is called the cervical loop. The basal epithelial cell layer of the loop bordering the dental papilla is known as the inner enamel epithelium and the part facing the dental follicle is known as the outer enamel epithelium. The core of the loop is populated by loosely arranged stellate reticulum cells and a thin layer of stratum intermedium cells facing the inner enamel epithelium This cervical loop structure is maintained in continuously growing teeth and constitutes the epithelial part of the adult stem cell niche (Harada et al., 1999; Tummers and Thesleff, 2003: Tummers and Thesleff, 2008; see below). In non-continuously growing teeth (including all human teeth) the cervical loop will actively undergo a structural modification when root formation is initiated. The central core of epithelium disappears leaving only a double layer of basal epithelium known as Hertwig's epithelial root sheath (HERS). It directs root growth and gives rise to a fenestrated network of epithelial cells covering the root and is known as epithelial cell rests of Malassez (ERM). Both the HERS and the ERM are thought to have a limited growth capacity. More detailed descriptions of the developmental anatomy and histology of teeth can be found in textbooks (e.g. Nanci, 2003). A complex system of dynamic regulatory interactions between cells and tissues, in particular between the mesenchyme and epithelium is present throughout tooth development and also in dental stem cell niche regulation. Tooth organogenesis can be seen as a step-wise process where reciprocal and sequential interactions between compartments regulate advancing morphogenesis and cell differentiation (see Figure 3). The conserved signal pathways mediating these interactions include the TGFß, BMP, Wnt, FGF, Hedgehog and Eda (Ectodysplasin, a TNF signal) pathways and they are used reiteratively during advancing tooth development. The deletion of gene function of essential components of these pathways often results in defects in tooth formation including tooth agenesis (Thesleff, 2003). Multiple modulators of the signal pathways are also present during tooth development. For example, inhibitors of BMPs such as Follistatin and Ectodin/Sostdc1 (Wang et al., 2004; Kassai et al., 2005) and of FGFs such as Sprouty (Klein et al., 2006) are required for development of the correct tooth number, exact shape and optimal hard tissue production thus underlining the key role of fine-tuning in regulatory control (Tummers and Thesleff, 2009). regulates the expression of specific transcription factors (boxes in side boxes). This picture is far from complete, but it illustrates the step-wise process and the reiterative use of same major signaling pathways. Missing in this schematic are modulators of signaling, in particular many signal inhibitors which add to the level of complexity. The dental placode signifies the first signaling center of tooth development, emitting a wide collection of signals that include members of all conserved families regulating epithelial budding and patterning, similar to the placodes of other ectodermal organs such as hairs and glands (Mikkola, 2007). The enamel knot signaling center appears in the epithelium during the bud to cap stage transition. It expresses at least a dozen different signals which regulate the early growth of the tooth and determine the positions of secondary enamel knots corresponding to the sites of future cusps (Jernvall and Thesleff, 2000). As has been shown by a mathematical model, almost any tooth shape can be generated by changing the parameters that govern the regulatory interactions that modify the position and existence of secondary enamel knots (Salazar-Ciudad and Jernvall, 2004). In theory, therefore a controlled modification of enamel knot patterning could generate any desired tooth shape, although in tissue engineering settings this will be difficult since either the modulators of the cusp pattern will have to be applied locally or the expression of key genes has to be modified locally. Classic tissue recombination studies between the epithelium and mesenchyme of different origins and stages have indicated that the epithelium of the first branchial arch can instruct tooth formation when cultured with neural crest derived cells from second arch mesenchyme or with premigratory trunk neural crest (Mina and Kollar, 1987; Lumsden, 1988). This odontogenic competence in the epithelium is, however, lost early (by E12 placode stage in mouse), and the identity information subsequently switches to the mesenchymal compartment. Thus the dental mesenchyme from mouse embryonic cap and bell stage teeth can instruct tooth development when combined with non-dental epithelium (Kollar and Baird, 1970a; Kollar and Baird, 1970b). It is not known how long the dental mesenchyme retains the ability to instruct tooth morphogenesis. Mesenchymal tissue in adult teeth has, however, maintained the capacity to regenerate differentiated dental tissues including dentin, cementum and periodontal ligament (Gronthos et al. 2000; Seo et al., 2004). The genetic basis of odontogenic competence is not known either for the dental epithelium or the mesenchyme. The expression patterns of over 200 genes which are developmentally regulated during tooth morphogenesis can be viewed in the graphical database at [[UNSUPPORTED:p/uri]]. Localized expression of only a few genes has been reported in the primary dental lamina. These include Shh and Pitx2 which are present in all species so far examined, such as fish, reptiles and several mammals (see Figure 4)(Keränen et al., 1999; St. Amand et al., 2000; Buchtova et al., 2008; Fraser et al., 2008). Shh signaling is required for tooth initiation in mouse embryos, and subsequently for normal morphogenesis and differentiation of dental epithelium into ameloblasts (Hardcastle et al., 1998; Dassule et al., 2000; Gritli-Linde et al., 2002). The deletion of Pitx2 function results in tooth agenesis in mice and humans (Lin et al 1999; Semina et al., 1996). in the upper jaw of an E12 mouse embryo visualized by the expression of Pitx2 and Shh. Pictures by courtesy of Maria Jussila. The currently known gene expression signature of the dental mesenchyme during the early morphogenetic stages contains numerous potential candidates which might account for the odontogenic competence of the tissue. In addition to multiple signal molecules, their receptors and inhibitors, several transcription factors are known which are specifically expressed in the early tooth mesenchyme. These include Msx1,2, Dlx1,2,5, Runx2, Pax9, Lef1, Gli1,2,3, Lhx6,7,8, Prx1,2 ([[UNSUPPORTED:p/uri]]). The deletion of the function of these transcription factors results in most cases in a complete arrest of tooth development either prior to placode formation or before morphogenesis from bud to cap stage (Thesleff, 2003; Duverger and Marasso, 2008). In some cases the deletion of the function of two transcription factors in the same family is required to elicit a phenotype. However, as all the above listed transcription factors are required for the development of other tissues as well, the tooth-specific signature remains elusive. While some vertebrates such as fish and reptiles can generate new teeth throughout life, mammals have largely lost the capacity for tooth regeneration. Mammals replace their teeth at the most once, which results in humans having a set of milk teeth and a subsequent set of permanent teeth (Smith, 2003). In the mouse, the main model animal for mammalian developmental processes, on the other hand, there is no tooth replacement, which could partially explain why little is known about the mechanisms of tooth replacement. Recent studies have started to address the cellular and genetic mechanisms of tooth replacement. In fish teeth some genes, including Pitx2 and Bmp4 have been associated with tooth replacement (Fraser et al., 2006). The analysis of tooth replacement in ferret embryos gave support for the concept that mammalian replacement teeth originate in the (secondary) dental lamina which develops as part of the primary tooth (Smith, 2003; Järvinen et al., 2009). In addition the expression of some regulatory genes, in particular the BMP/Wnt inhibitor Ectodin (Sostdc1), were localized to the site of replacement tooth initiation. However, the actual stem cells responsible for replacement tooth formation have not been identified. Although mouse teeth are normally not replaced, de novo tooth formation can be induced in transgenic mice by stimulating the canonical Wnt pathway. The constitutive expression of betacatenin in the ectoderm by using a keratin14 promoter resulted in excessive formation of extra teeth (Järvinen et al., 2006). These teeth are initiated from signaling centers which express placodal and enamel knot genes and seem to be iteratively induced in the oral epithelium. When tooth germs from transgenic embryos were cultured in vitro, de novo teeth appeared to develop successionally from previously formed tooth germs (Järvinen et al., 2006). Recently it was shown that de novo teeth can be induced even postnatally by Wnt pathway activation (Xiu-Ping Wang, personal communication). Tiny teeth were induced within the forming roots of molars, in the oral epithelium near the teeth as well as around the incisors. The capacity of de novo tooth formation was, however, reduced during aging and in 10 months old mice teeth were induced mainly from the epithelium of the continuously growing incisors (Xiu-Ping Wang, personal communication). It is conceivable that there is very little if any capacity for de novo tooth formation in adult mammals, including humans. With the exception of continuously growing teeth in some mammals such as rodent incisors, most dental epithelium is lost during completion of mammalian tooth formation. When the tooth erupts to the oral cavity the enamel epithelium surrounding the tooth crown undergoes apoptosis and is shed. Therefore, the only dental epithelium remaining after the completion of root development is ERM. While ERM cells have been isolated and they can be induced to proliferate under some conditions (Talic et al., 2003; Shinmura et al., 2008) it is not known whether they have odontogenic potential or stem cell characteristics. Mesenchymal stem cells have been identified in adult human teeth in the dental pulp as well as in the dental follicle (Gronthos et al., 2000; Seo et al., 2004). While these cells have stem cell properties and can be cultured as stem cells in vitro and differentiated in vivo into odontoblasts, cementoblasts and periodontal ligament cells, there is no evidence that they would have maintained capacity either to direct or participate in tooth morphogenesis. Most of the knowledge on the regulation of dental stem cells is based on research on the adult stem cell niche of the continuously growing incisor of the mouse (Harada et al., 1999). The rodent incisor is an evolutionary derived tooth exhibiting two rather special characteristics which are not commonly found in other mammalian dentitions. They grow continuously and their enamel is deposited asymmetrically. Only the labial side of the incisor is covered with enamel, whereas the lingual side is covered by the softer dentin and cementum. The difference in hardness between the labial (enamel) and lingual (dentin) sides creates a cutting edge. The epithelial stem cells are thought to be located in the cervical loop, the stem cell niche of the tooth (Harada et al., 1999). In the rodent incisor the lingual and labial cervical loops are asymmetric in size, with the labial cervical loop being much larger due to different functional requirements. This cervical loop has the typical structure as described above, with a core of stellate reticulum cells surrounded by basal epithelium (see Figure 5). Label-retaining cells were localized by pulse-chase BrdU incorporation experiments in the stellate reticulum suggesting the presence of stem cells in this compartment (Harada et al., 1999). The progeny of the stem cells is thought to invade the basal layer of epithelium, most likely on the outside layer, proliferate to form a pool of transit amplifying cells around the loop, and then differentiate into ameloblasts or root epithelium depending on their regulatory environment (see Figure 5). Animation of the fate of the stem cell progeny in the epithelial stem cell niche of the continuously growing tooth, the cervical loop. Stem cells divide in the stellate reticulum compartment giving rise to cells that will become inserted to the basal layer of epithelium looping around the stellate reticulum. Here the cells proliferate, migrate towards the oral cavity and differentiate into ameloblasts depositing enamel matrix. In many ways the stem cell niche of the tooth resembles that of other niches such as the crypt of the intestine and the bulge of the hair follicle (Moore and Lemischka, 2006). All are surrounded by mesenchymal tissue that provides regulatory cues to the epithelium necessary for self-renewal and differentiation of the epithelial stem cells. The incisor stem cell niche has advantages as a model since it is experimentally tractable. The niche can be dissected and cultured in explant culture where differentiation and proliferation of stem cells can be monitored in response to exogenous signals. FGF3 and FGF10 emanating from the mesenchyme were found to be key regulators of the stem cell niche and they stimulate the proliferation and survival of epithelial stem cell progeny (Harada et al., 1999; Harada et al., 2002; Wang et al., 2007). BMP4 and Activin, also expressed by dental mesenchyme, were found to modulate these signals and therefore the amount of stem cells/ progenitors (Wang et al., 2007). The TGFß inhibitor Follistatin limits the amount of stem cells/progenitors on the lingual side by antagonizing the effect of Activin (Wang et al., 2007) and inhibits enamel formation in the differentiation zone by antagonizing BMP-induced ameloblast differentiation. Follistatin thus determines the asymmetry of enamel formation and the prominent size difference between labial and lingual cervical loop, respectively (Wang et al., 2004). Follistatin is a necessary, but not sufficient regulator of the asymmetric development of the incisors. Sprouty genes which encode intracellular inhibitors of FGFs are also involved in the maintenance of asymmetry of the stem cell niche in the incisor and they seem to play a crucial role in the lingual inhibition of enamel-producing ameloblasts as well (Klein et al., 2008). Transgenic mouse models have shown how the tinkering with stimulatory and inhibitory signals modify the phenotype of the incisor, creating enlarged or reduced incisors, and incisors with enamel or without enamel on both sides (see Figure 6). The epithelial stem cell niche is therefore subject to regulatory control and so is the differentiation of the progeny of the stem cells. Different incisor phenotypes resulting from the modulation of signal pathways regulating the stem cell niche. The typical asymmetry of the rodent incisor is lost when enamel formation is either stimulated or inhibited. Enamel is absent in the K14-Follistatin, K14-Eda and K14-Noggin mice while enamel formation is stimulated on the lingual, normally enamel-free surface in Follistatin -/- and Spry4-/-;Spry2+/- mice exhibiting stimulated BMP/Actyivin and FGF signaling, respectively. Also the size of the stem cell niche is affected which contributes to the excessive growth of the incisors of K14-Noggin and Spry4-/-;Spry2+/- mice and to the small size of the incisors of Fgf3-/-;Fgf10+/-, and K14-Follistatin mice. These models illustrate the potential for the tinkering with several important structural aspects that define this tooth by means of modulating various signaling pathways (references: K14-Follistatin and Follistatin -/- (Wang et al., 2004: Wang et al., 2007), K14-Eda (Tummers and Thesleff, 2008), K14-Noggin (Plikus et al., 2005), Fgf3-/-;Fgf10+/- / Wang et al., 2007), Spry4-/-;Spry2+/- (Klein et al., 2008). Other kinds of continuously growing teeth, such as the continuously growing molar of the vole share at least part of the regulatory setup of the mouse incisor (Tummers and Thesleff, 2003). In line with this, some of the important positive regulators of the stem cell niche including FGF10 are downregulated in teeth that stop growing and form roots such as the mouse molar (resembling all human teeth in this respect). Interestingly, the addition of FGF10 to cultured mouse molars stimulates the maintenance of their cervical loops and inhibits HERS formation (Yokohama-Tamaki et al., 2006). The intricate fine tuning of signaling was also evidenced in long term cultures of mouse molar tooth germs which developed root-like structures during several weeks of culture. In these “roots” the differentiation pathway of the cervical loop varies according to the environment of the epithelium. HERS forms on the root surface facing the supporting filter but it remains continuous and fails to form ERM. At the lateral sides of the “roots” which grow at the medium-gas interface cervical loops with stellate reticulum in the center are maintained and resemble the stem cell niches of continuously growing teeth (Tummers and Thesleff, 2007). The stemness of epithelial cells therefore does not seem to be determined intrinsically but is regulated by the environment as is also shown by the tinkering of the stem cell niche properties in the incisor. There are several problems that must be solved before bioengineering of teeth will be feasible. First, a suitable source(s) of dental stem cells must be found. As described above, human teeth do not regenerate like some other organs, e.g. hairs, and therefore there are no stem cell niches in teeth housing progenitors for de novo tooth formation. In adult teeth the ERM cells lining the roots are the only remaining epithelial dental cells, but whether they have stem cell characteristics is not known, and in any case their collection would be problematic. Mesenchymal stem cells are present in the tooth pulp and follicle and they are capable of producing differentiated dental hard tissues but there is no evidence that they have the competence for directing tooth morphogenesis. However, even if there was a suitable source of stem cells in adult teeth, the use of patient's own dental cells has serious limitations because it would require the extraction of a remaining tooth. Tooth bioengineering will therefore likely require the use of reprogrammed non-dental cells. 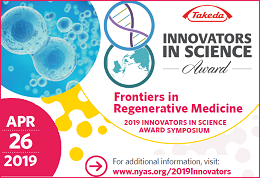 Recent technology development in adult cell reprogramming has opened up possibilities to use the patient's own cells for bioengineering purposes and also dental cell reprogramming in adults is therefore a realistic possibility. 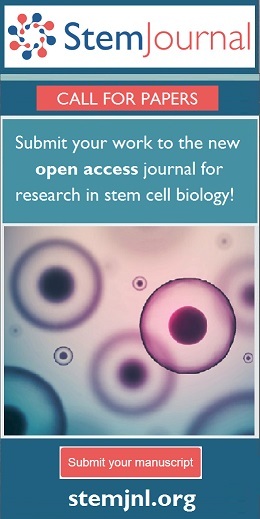 The creation of induced pluripotent stem (iPS) cell lines from adult differentiated cells by expressing a set of defined transcription factors was a remarkable breakthrough and it offers a promising way for production of pluripotent stem cells, also for tooth regeneration for example from patient's skin or oral mucosa (Nishikawa et al., 2008; Aasen et al., 2008). Another possibility is direct conversion of cell types which was recently successfully used to reprogram pancreatic exocrine cells to insulin producing beta cells (Zhou et al., 2008). Importantly, this method was much more efficient than the reprogramming of adult cells to iPS cells likely because the cells shared much of their epigenomes. For example the oral mucosa which originates from the same tissue as the teeth, might be a convenient source of cells for direct reprogramming to dental cells. Tooth bioengineering will also require the development of techniques that allow for a natural morphogenesis of the reprogrammed cells. It is not likely that reprogramming could be used in situ in the jaws as was the case in conversion of the cell types in the adult pancreas (Zhou et al., 2008). The major differences between bioengineering insulin producing islet cells and teeth are that tooth development involves complex three-dimensional morphogenesis relying on interactions between different cell types, and that teeth should be grown in a right orientation in an exact location. Therefore, although the induction of de novo tooth formation has been successful in the oral epithelium in mice (Järvinen et al., 2006; Xiu-Ping Wang, personal communication), the methods that were used do not enable adequate temporo-spatial control of tooth development. At present the most realistic scenario is perhaps the generation of teeth from two populations of cells having the required competence to induce and participate in tooth morphogenesis (Ohazama et al., 2004; Hu et al., 2006; Nakao et al., 2007). Such techniques will be based on traditional tissue recombination experiments which showed that separated dental epithelial and mesenchymal tissues can form proper teeth when recombined and cultured as transplants (Kollar and Baird, 1969). Successful onset of morphogenesis was reported even when the contributing tissues had been first disaggregated into single cells (Slavkin et al., 1968; Kollar, 1972) and this has been verified by more recent experiments (Duailibi et al., 2004; Hu et al., 2006; Ohazama et al., 2004). Dental cells therefore display the capacity to reorganize themselves into a proper organ during the early stages of tooth development. Recently Nakao et al. (2007) dissociated epithelium and mesenchyme from murine cap stage tooth germs to single cells which were reaggregated and grown in vitro for a short time to allow early morphogenesis, and implanted these explants to the jaw of the mouse, where they developed into a rather normal tooth (Nakao et al, 2007). However, the reconstituted pellets of dental mesenchymal and epithelial cells gave rise to multiple tooth germs in vitro indicating that the control of the number of teeth developing from dissociated dental cells may present a problem. Several studies have recently demonstrated that tooth initiation is regulated by delicate activator-inhibitor mechanisms between the epithelial and mesenchymal cell populations (Kavanagh et al., 2007; Järvinen et al., 2006; Munne et al., 2009). Apparently, these intricate mechanisms were impaired when tooth germs formed from dissociated cells in culture conditions and it is possible that the numbers and proportions of epithelial and mesenchymal cells are crucial. The whole trajectory from stem cell to functional tooth seems feasible, with the note that so far embryonic tooth germs have been used as a source of cells. However, in principle, similar techniques could be applied with reprogrammed progenitor cell lines. What is required are procedures for the programming of iPS or other cells to the fate of dental epithelium and mesenchyme. Although there are multiple candidates for genes involved in the gene expression signatures of dental epithelial and mesenchymal cells, the key genes responsible for their tooth identity remain elusive. The major task for future research therefore is the identification of the specific combinations of factors capable of reprogramming non-dental cells to tooth epithelium and mesenchyme. It should be noted as a facilitating circumstance, that it may not be necessary to re-program both epithelial and mesenchymal dental cells. The classical tissue recombination experiments indicated that depending on the stage of tooth morphogenesis, either the dental epithelium or dental mesenchyme has the competence to direct tooth development and that the other tissue can be substituted by non-dental tissue (Kollar and Baird, 1970b; Mina and Kollar, 1987; Lumsden, 1988). More recent experiments have shown that early mouse embryonic first arch epithelium can induce the expression of markers of dental mesenchyme in cultured non-dental stem cells, including mouse ES cells, embryonic neural stem cells and adult bone marrow mesenchymal stem cells (Ohazama et al., 2004). When the cultures of first arch epithelium and bone marrow mesenchymal stem cells were transplanted to the adult mouth, 3 out of 35 developed to complete teeth (Ohazama et al., 2004). However, because of potential contamination problems in tissue separation experiments these results need to be confirmed. No studies have so far been published on the induction of tooth markers in non-dental epithelial stem cells. Several challenges will still remain after solving the engineering problems described above. The issues of tooth size, tooth identity, precise crown shape, and exact composition of the mineralized tissues need to be addressed. Some of these problems can be circumvented by limiting the goals of dental engineering to merely creating functional roots. An artificial crown can be added as a final stage, a standard and acceptable technique in modern dentistry. This approach has already had success in the generation of partially functional roots using scaffolds and mesenchymal stem cells from the apical tooth papilla and periodontal ligament (Sonoyama et al., 2006). Duailibi, M.T. Duailibi, S.T. Young, C.S. Bartlett, J.D. Vacanti, J.P. Yelick, P.C. (2003). Bioengineered teeth from cultured rat tooth bud cells. J Dent Res 83, 523–528. Kollar, E.J. (1972). Histogenetic aspects of dermal-epidermal interactions. Developmental aspects of Oral Biology Slavkin, H. C. Bavetta, L. New York and London: Academic Press; , 125–149. Kollar, E.J. Baird, G.R. (1970a). Tissue interactions in embryonic mouse tooth germs.1. Reorganization of dental epithelium during tooth-germ reconstruction. J Embryol Exp Morphol 24, 159–171. Kollar, E.J. Baird, G.R. (1970b). Tissue interactions in embryonic mouse tooth germs.2. Inductive role of dental papilla. J Embryol Exp Morphol 24, 173–186. Wang, X. Suomalainen, M. Felszeghy, S. Zelarayan, L.C. Alonso, M.T. Plikus, M.V. Maas, R.L. Chuong, C. Schimmang, T. Thesleff, I. (2007). An integrated gene regulatory network controls stem cell proliferation in teeth. Plos Biology 5, 1324–1333. Copyright: © 2008 Irma Thesleff and Mark Tummers. *Edited by Fiona Watt and Fred Gage. Last revised December 19, 2008. Published January 31, 2009. This chapter should be cited as: Thesleff, I. and Tummers, M., Tooth organogenesis and regeneration (January 31, 2009), StemBook, ed. 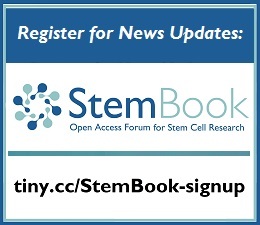 The Stem Cell Research Community, StemBook, doi/10.3824/stembook.1.37.1, [[UNSUPPORTED:p/uri]].